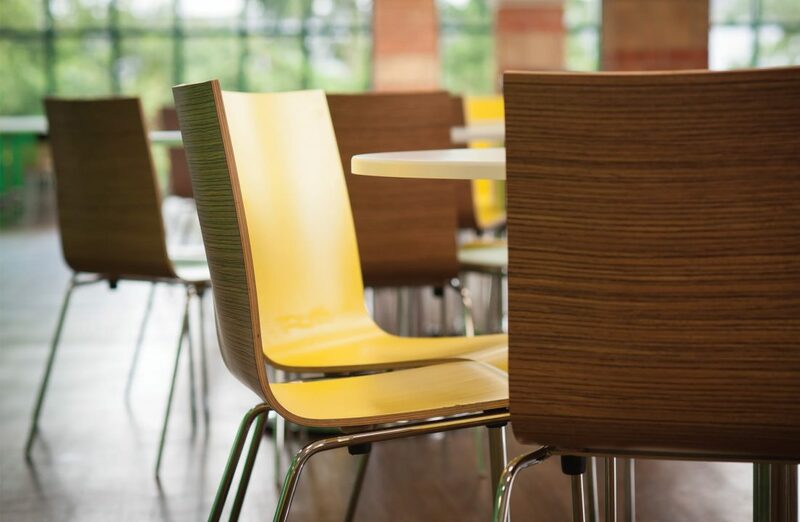 Our experience shows that student life revolves around a central ‘hub’ in most colleges: a place where people congregate to eat, relax or socialise. 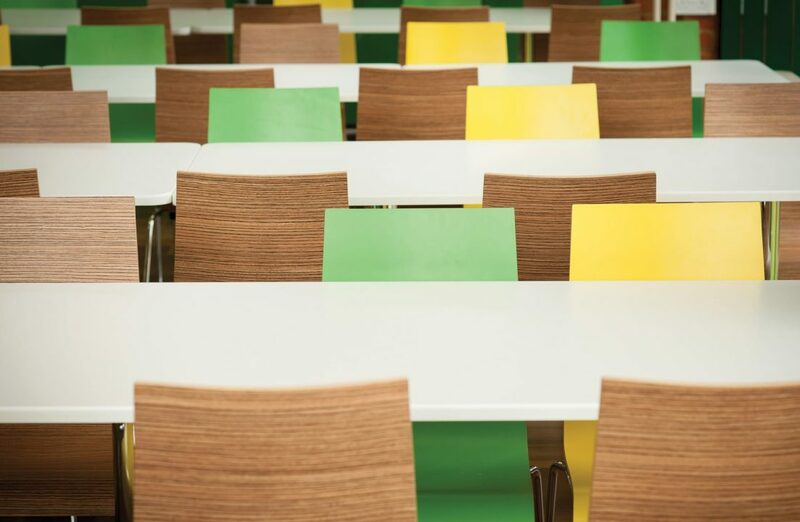 The look and feel of these hubs can affect the atmosphere of a whole institution, so it’s crucial to get it right. 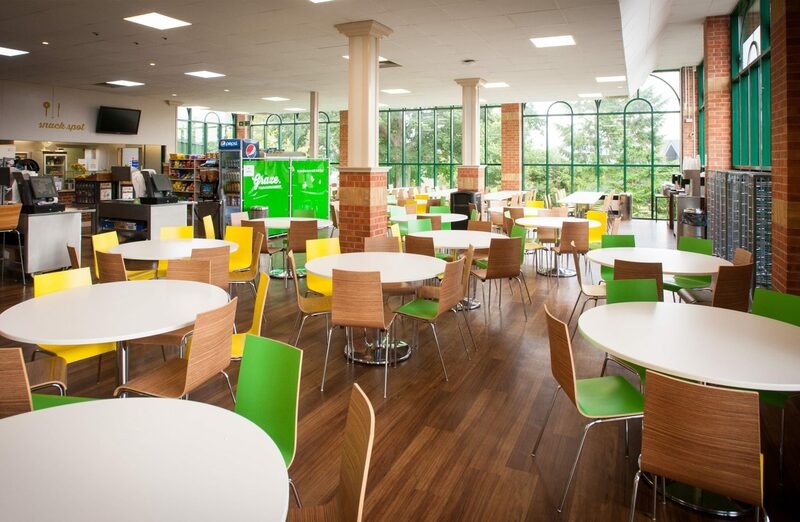 In 2016, Gloucestershire’s Hartpury College asked us to renovate its own hub – the Graze canteen. 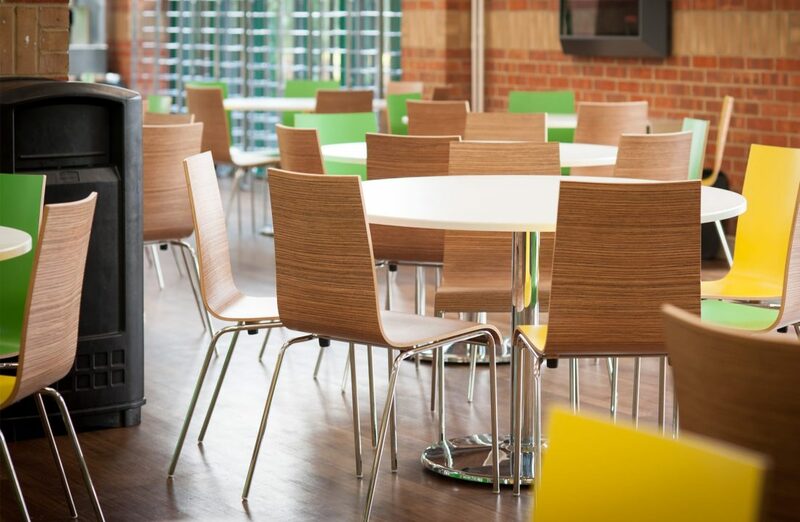 With a relationship spanning over ten years we already knew the college and understood its people and culture and we welcomed the challenge of creating a functional but homely space to enhance the everyday lives of 3,300 students. 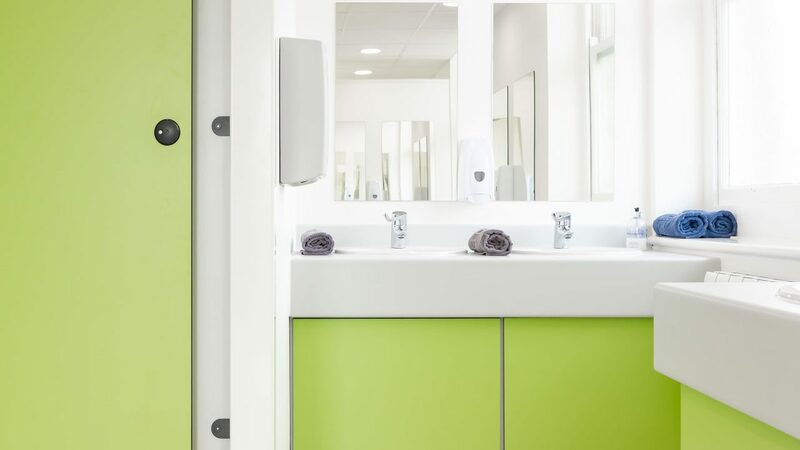 Cobus provided 3D visuals and extensive product and finish samples to guide the client through our design and development process. 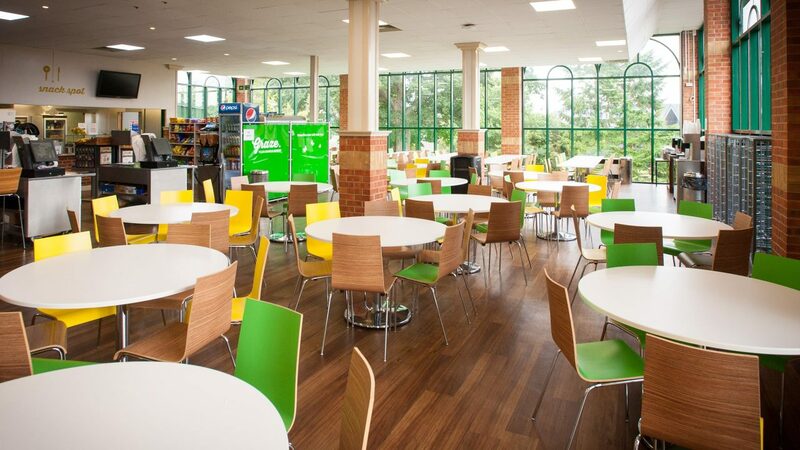 We wanted to produce a stunning canteen with a look and layout exactly in line with Hartpury’s energy and wow factor. 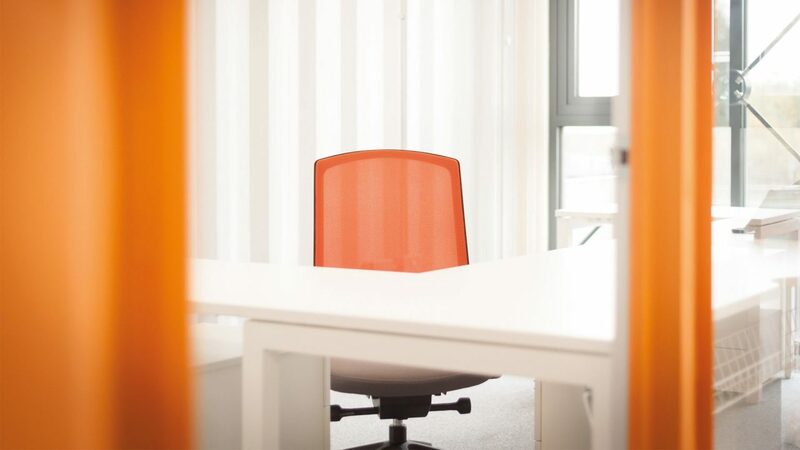 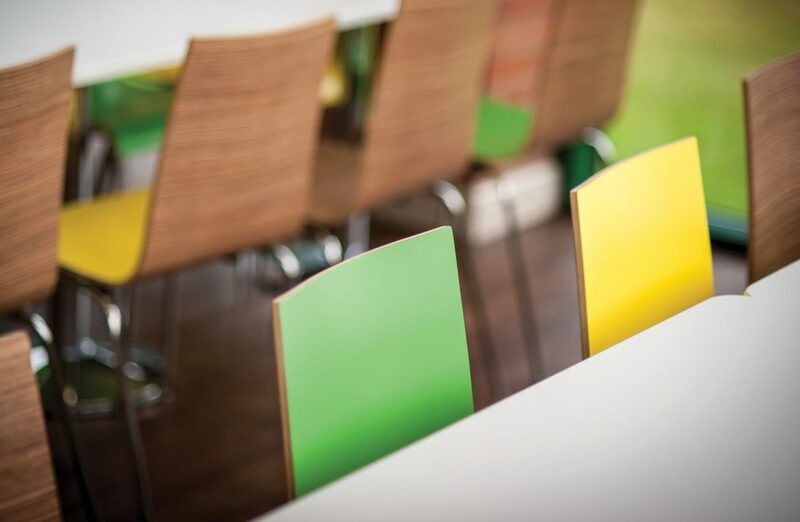 The finished scheme ticked every box, featuring 216 two-tone laminate bistro chairs and a vibrant lime green and yellow colour scheme: an exciting move, boldly approved by the college’s Facilities Manager. 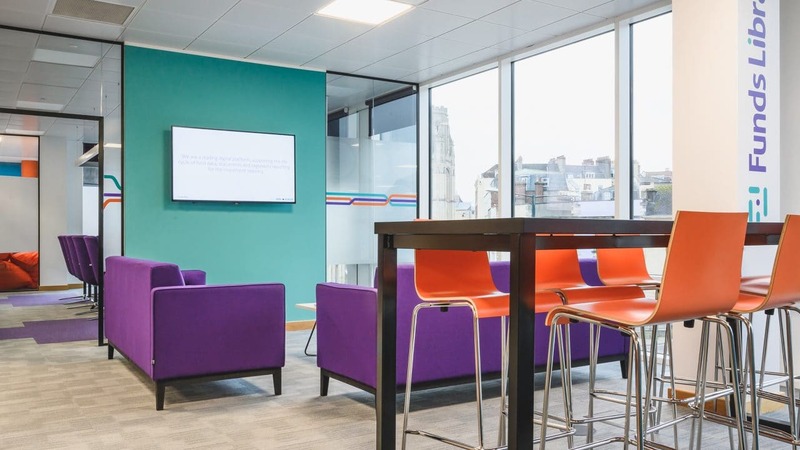 We’ve helped the space retain a necessary warmth using a Zebrano wood finish, while the random ‘splashes’ of colour lend this area a welcome feeling of informality and fun, perfect for relaxing in.